Pet fees are $300 for first pet, $150 for additional pet. Limit 2 pets per apartment. $20 per month pet rent per pet. Your security deposit is only refundable out after determination of the conditions of your apartment and any balances on your account upon move out. Late fees assessed by 9:00 am on the 4th of every month. Yes. When using Bill Pay through your bank you should process the payment 10 days prior to the first of the month so that the payment arrives to our office on time. Any payments received after the 3rd of each month is late and will be assessed a $75 Late Fee on the 4th at 9:00 a.m. Yes, restrictions apply, please contact the office immediately. Cable is available through Brighthouse at the residents' expense. Voter Registration Office of downtown Orlando, Driver's License offices, public libraries and most post offices. * Water is included unlike most of our competition in the area. * Spacious floor plans, oversized bathrooms and screened in patios/balconies with a storage closet. * All major appliances are included in each apartment home including a full size washer and dryer. * We have 3 sparkling pools on site for you to choose from! Most of the properties in our area only have 1 pool. *SOON TO COME** Our residents will be able to reserve one pool with a party room at a small Reservation Fee for the entire day. DIRECTIONS: Take 50 Highway (Colonial Drive) east to Chickasaw Trail. Turn right on Chickasaw Trail. We are located one mile on the left. I have been with ZRS for 10 years. My every day goal is to exceed ZRS standards. The Woodlands features gorgeous East Orlando apartments in the heart of the affluent Sutton Ridge neighborhood. Enjoy coming home to our beautifully designed apartments in Orlando, FL with the area's best dining, shopping, and recreation right at your fingertips. Our apartments feature a variety of spacious one, two, and three bedroom floor plans with fully-equipped kitchens and screened balconies or patios. Keep in shape at our fitness center and then let your pup get some exercise in our dog park. Our Orlando, FL apartments feature an ideal location in Sutton Ridge, just outside the Azalea Park area, giving you easy access to the Orlando metro area via the East West Expressway 408 and the Greenway 417, putting you within a few minutes of Lockheed Martin, University of Central Florida, and the Valencia College East Campus. Go canoeing at nearby Blanchard Park, or take the family out for a fun and educational experience at the Orlando Science Center. It's all yours when you live at our pet-friendly community. 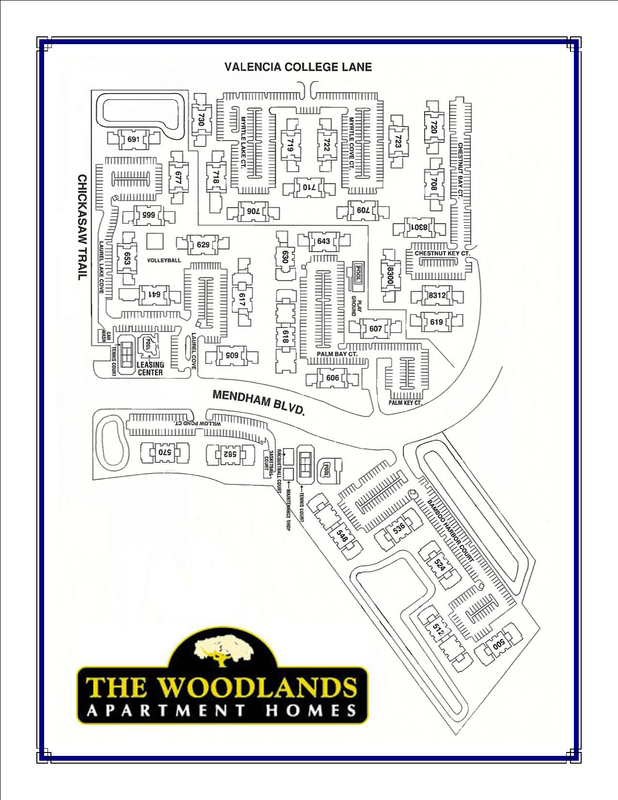 Schedule a tour of our East Orlando apartments today and see all that The Woodlands has to offer!